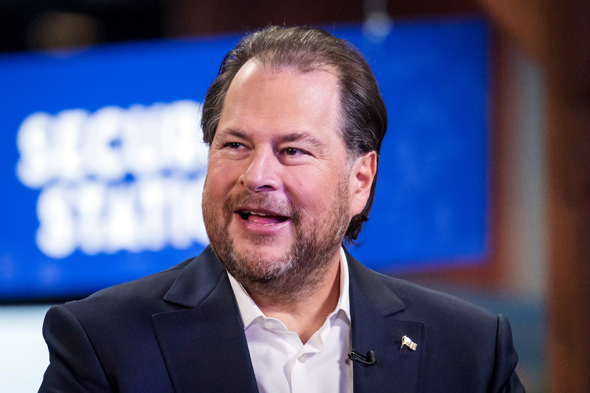 Salesforce.com Inc. is in preliminary talks to acquire Israeli workforce management software company Clicksoftware Technologies Ltd., according to two people familiar with the matter. The deal discussed values Clicksoftware at around $1.5 billion, one of these people said. Salesforce and Clicksoftware have yet to reply to Calcalist’s request for comment. Founded in 1979 by Israeli entrepreneur Moshe BenBassat, Burlington, Massachusetts-headquartered Clicksoftware develops and sells enterprise software, offering task scheduling, resource management, and customer service tools. In 2000, at the height of the dot-com bubble, the company started trading on Nasdaq. After reporting $126.2 million in annual revenues in 2014, Clicksoftware was acquired by San Francisco-based private equity firm Francisco Partners Management L.P. in a deal valued at around $438 million. In July 2015, Clicksoftware delisted from Nasdaq. At the time, the company employed some 700 people worldwide, 220 of them in Israel, where the bulk of the company’s development operation is based. Following the acquisition, BenBassat retired as CEO, remaining on the company’s board. Mark Cattini was appointed CEO of the company in early 2018. Clicksoftware and San Francisco-based Salesforce are long-time business partners. In 2013, Clicksoftware’s mobile workforce management product became available to Salesforce clients through the latter’s AppExchnge platform. In 2016, Salesforce launched a field service product licensed in part from Clicksoftware. In July, Salesforce announced it acquired Israeli marketing analytics company Datorama Ltd. Calcalist reported the deal was worth over $800 million.